We were so impressed by how well the boys were prepared and coordinated. There is such a wonderful family atmosphere at St. Aloysius Academy. St. Aloysius Academy is also the environment where I developed my spiritual identity. “In these halls, I developed the confidence in myself, communication skills, and study habits that I would utilize in high school at Devon Prep, college at LaSalle University, medical school at Philadelphia College of Osteopathic Medicine, and currently in my treatment of patients as a Family Medicine physician. 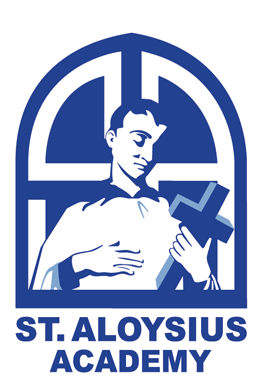 In addition to being an incubator for personal development, I feel that St. Aloysius Academy is also the environment where I developed my spiritual identity. St. Aloysius Academy graduates have been Student Government presidents, team captains, community service leaders and passionate students. Faculty and staff members are dedicated to giving these young men every educational and spiritual advantage. I know that Jack is the best student and the best person he can be and that is because of the teaching, support and love he received at St. Aloysius Academy. “With all of the excitement and commotion surrounding the end of the year and graduation, Ellen and I felt like we did not get the chance to properly thank you for everything you and Sister Judith, and all of the teachers at St. Aloysius Academy did for Jack. As I sit here, I am not sure I can find the words that sufficiently capture the impact you and St. Aloysius Academy have had in the development and growth of Jack as a student and as a person. Sometimes, it is best to just look at the result. I know that Jack is the best student and the best person he can be and that is because of the teaching and the support and the love he received at St. Aloysius Academy. I know that Jack is an incredibly happy young man, and that is because you and the St. Aloysius Academy family instilled in him a great sense of confidence, purpose, kindness and humility. As parents, we feel like St. Aloysius Academy was the greatest gift we could ever have given our child, and I don’t know what else to say other than thank you. I can never thank you enough for all you do and the blessing of the commitment and presence of ALL the Sisters and teachers. The IHM sisters . . . work hard and expect our sons to work hard. They are compassionate, persevering, caring, articulate and relaxed. St Aloysius Academy offers boys the opportunities to have it all. They are scholars, athletes, artists, singers, dancers, and musicians. “My son Luke’s school career began at 15 months of age on the Villa Maria playground as a recess volunteer. When I announced to Luke that it was time for him to attend school this small boy shy of 3 looked at me in shock and disbelief and said, ‘School!? School is for girls’. As a teacher myself, I felt there was a great deal of truth to Luke’s opinion in school. A traditional school program is a language based program where the teacher leads the instruction. Brain research proves that boys and girls learn differently. They are both capable of learning the same material but how it is presented needs to be different. We know that the male brain goes into rest mode faster than the female brain, and as a result, boys perform better when they are moving. 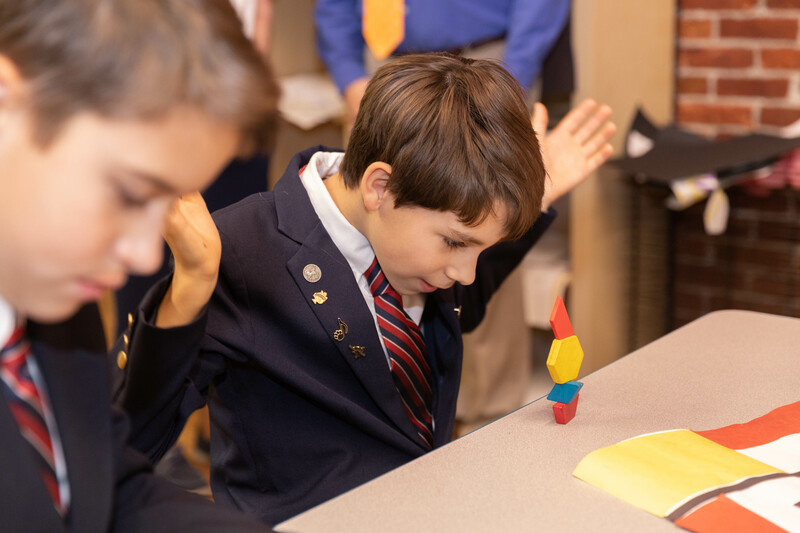 At St. Aloysius Academy, I have found that my son is an active participant in his learning. He has opportunities to make choices in what he is learning, as well as a hands-on approach to what he is learning. Every aspect of a child’s development is nurtured in this school. We couldn’t have dreamed of a better place for our kids to spend their young days! …they teach you to be a gentleman. To me, the word Magis means to be strong when others are weak.